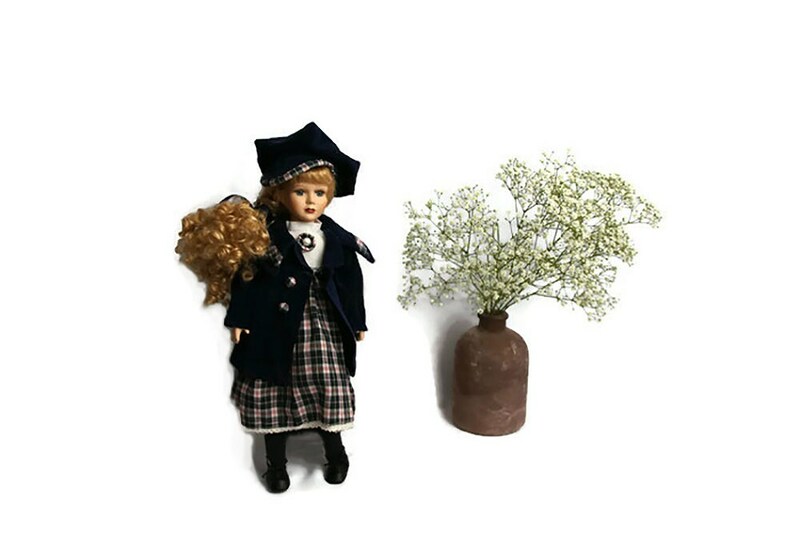 Vintage European collectible doll Evi. 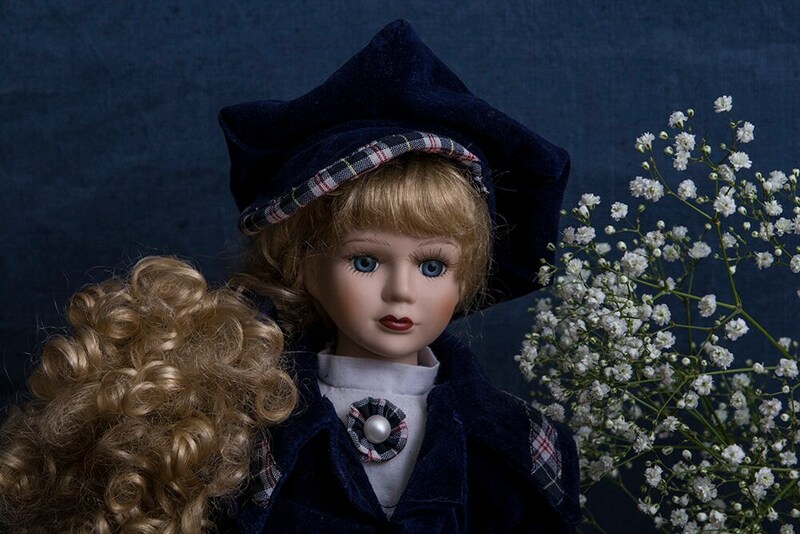 My name is Evi and I am an European doll, toy. I am a very lucky toy. I was found in the local garage sale. I was dirty and my cloths damage. I did not have hopes or dreams, I realized that after this sale I will be thrown away. But miracle happen. Somebody took me out of the pail of toys, looked on me- she is not damage at all, only dirty. The next thing I remember the feeling of the warm water and nicely smelling shampoo. I was cleaned and my hair washed, dried and styled. My cloths also were washed, ironed and carefully repaired. I look great, of course you can see some signs of aging, but still I am in a good shape and I am dreaming about a new home and friends. Now, I am kept in the box to avoid dust, but I want to be in in the sunlight, to have a family. 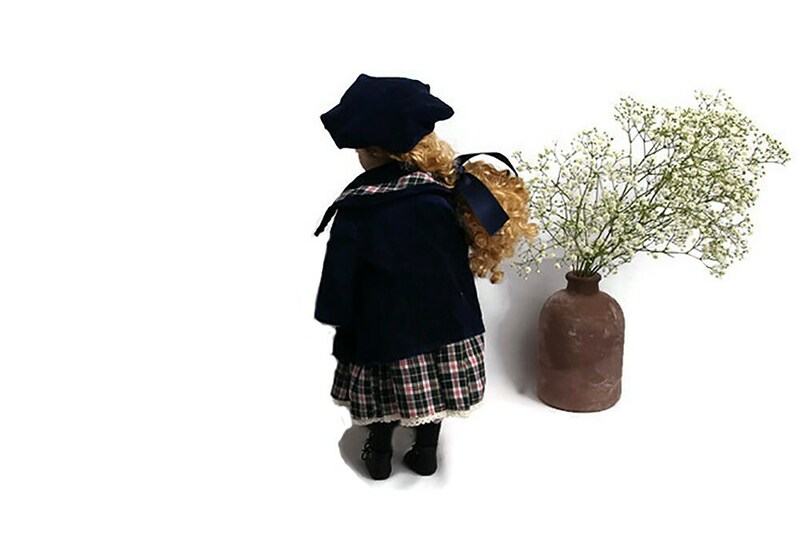 Maybe I am not very interesting for a collector, I don't have any papers or original box, but still I can be a perfect friend to your daughter or granddaughter. 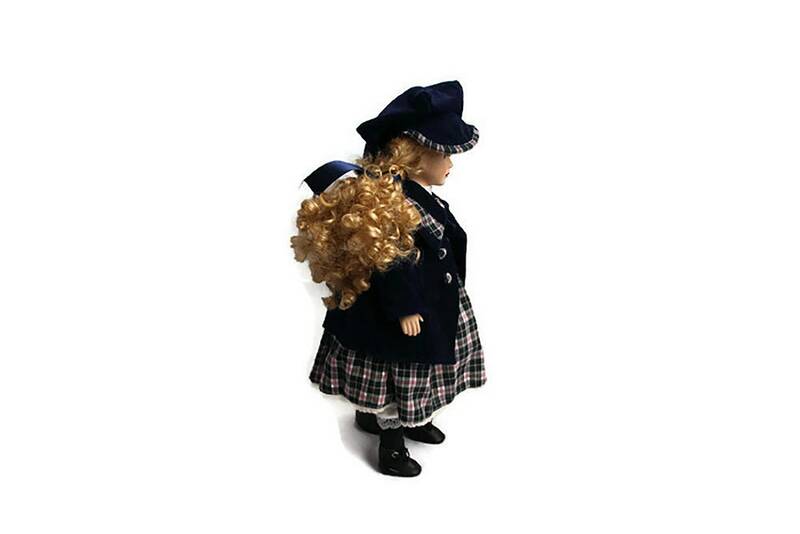 I am about about 42 cm ( 16.54 inches) tall with long blond hair and blue eyes. I add new Gunadesign vintage to the listings on a regular basis. If you are interested in my designs, please favorite my shop!